Can I edit an expense amount? We don't allow you to adjust the amount on a credit card transaction from a corporate card. Reason being, most companies use credit card management in Abacus to make it easier to match these transactions with the credit card statement. In order to do this, the amount needs to remain intact. Need to split the transaction across multiple expenses? 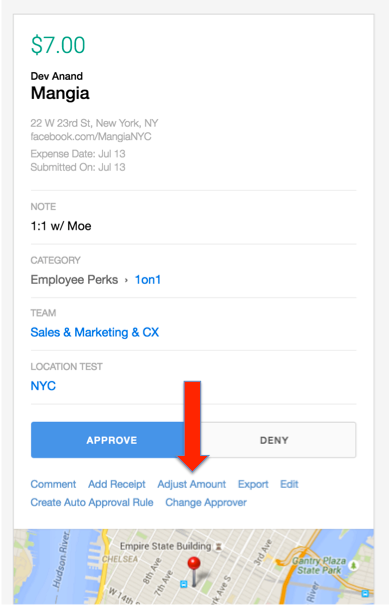 Check out this article on splitting expenses across category, note, client, etc. 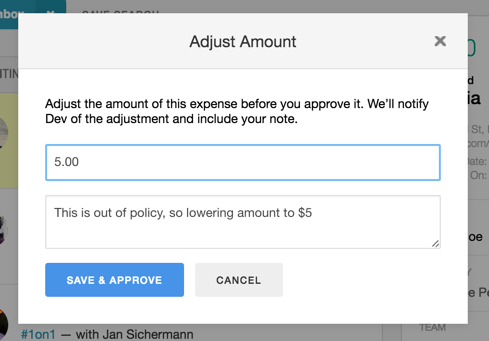 If you're reviewing a reimbursable expense, you may adjust the amount by clicking the 'Adjust Amount' button below the approve and deny buttons on the expense.